It didn’t take long for Madeline Krantz to figure out that Des Moines was missing something, and once she did, she decided to take action. What Des Moines lacks is options. People do not often think about how difficult it is for others to find a place to eat that fits their chosen lifestyle. As a vegan, Krantz knows all about this constant struggle and decided to do something about it by co-opening and becoming the chef at a new, all vegan café. Krantz’s dream wasn’t always to become a chef. In fact, after graduating high school in Des Moines, she moved to Boston to pursue creative writing at Emerson College. At the time, she aspired to teach at the college level. She began applying to grad school, but soon realized it wasn’t the path she wanted to follow anymore. “I thought, ‘Why am I not applying for grad school? I have to do it.’ And it became this thing where it was something I had to do not something I wanted to do,” Krantz explained. Recipes weren’t something that Krantz was interested in following. She liked the idea of using key ingredients from recipes and building her own unique style on top of it. Starting with experimenting with foods on her own, Krantz eventually worked her way up to cooking for her family and friends. These tough critics loved her unique style of vegan cooking and inspired her to continue to pursue her newfound talent. She started by taking a job as the manager at the Fresh Café and Market in West Des Moines. There she mainly specialized in soups and sandwiches, but with the freedom of being the only chef at her upcoming café, New World Café, she hopes to bring a much wider range of food to the table. Even though she’s only been a vegan for two years, Krantz has always held to high standards in her diet. At the age of 14, she began researching animal rights and became a vegetarian. It’s not all about animal rights for Krantz, she’s also in it for the health benefits. Ever since she began eating vegan, Krantz has noticed a big change in the way she feels. She claims there is a huge difference even from when she was eating solely vegetarian. The idea to start a new, all vegan café came about only a year ago. Krantz said it was a natural progression with her boyfriend Adam Senecaut when they realized the lack of vegan choices in Des Moines. Even vegetarian choices are lacking. Ritual Café and Fresh Café and Market are the only two places that offer a totally vegetarian menu. Krantz and Senecaut hope to fill this void. When they noticed the hole in the community, they jumped on it. The pair immediately started scouting out a space to rent and brainstorming ideas. The menu has become a project within itself for Krantz. As the sole chef at the upcoming café, she has total freedom when it comes to what they’ll be serving and she is taking advantage of it. “I made it a job for a while to search vegan restaurants across the country on the Internet and see how they presented themselves. A lot of them are like vegan-ized McDonald’s or all raw, and I wanted to make something that had something for everyone,” she said of New World Café’s menu. Flavors and colors have inspired Krantz to come up with a unique menu. The menu encompasses a wide array of cooking styles and types of food. From “The New Mac & Cheese” to the roasted vegetable and apple sandwich, there is something on the menu for everyone to enjoy even if they aren’t a part of the vegan lifestyle. Food isn’t the only aspect of the café. 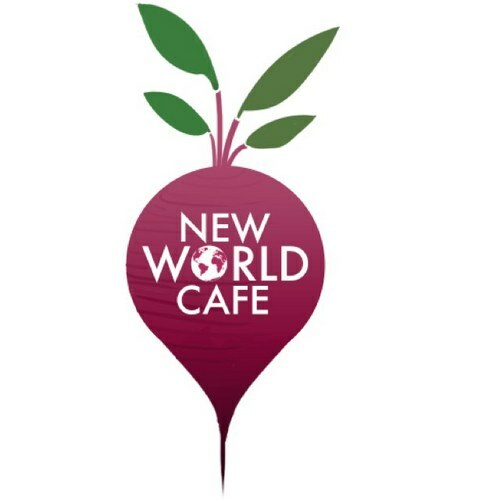 New World Café will also offer a coffee and juice bar. The coffee is 100-percent organic and all the juices are freshly squeezed.